As a homeowner in Westlake, you know the value of your belongings and understandably want to protect them at all costs throughout your move. For trusted service and reliable professionalism, turn to Luke’s A+ Moving, whether you are seeking local movers or not. As a family owned and operated business, we take great pride in our friendly services, attention to detail and competitive prices. We work extensively throughout Westlake, TX, a beautiful, upscale suburb of Fort Worth home to just 1,000 residents. We know you have many moving companies at your disposal when facing a move, which is why we go above and beyond to become your #1 choice. Luke’s A+ Moving stands out above the rest for several reasons, from our friendly staff and skilled movers to flexible schedules and competitive customized packages. For the move itself, we accept both pre-booked and same-day jobs. Guaranteed to keep your belongings safe every step of the way, our method of moving involves taking all precautionary measures to ensure your furniture, walls and doorways remain undamaged during the move. We will shrink-wrap upholstery and furniture with movable pieces to protect them during transport. In fact, you can keep most items in drawers. We will lay down runners to protect your new floors, walls and banisters. We’ll disassemble and quilt your furniture and leather before moving them. As you will find out when you hire us, our professional movers are not only experienced and efficient, they are friendly and accommodating as well. We work hard to make sure your move is as pleasant as possible, backed by a long history of earning our customers’ trust. 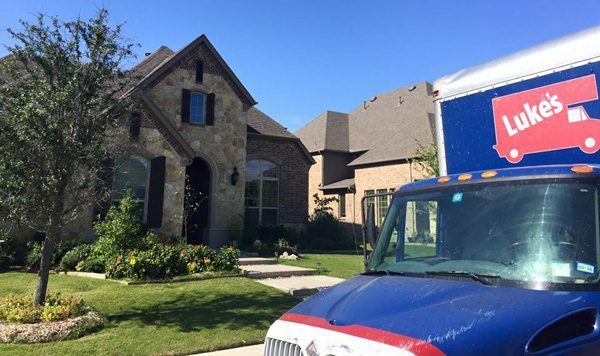 To inquire about our moving services in Westlake or to get a free estimate, please contact us at 817-752-9766 or email us at info@lukesaplusmoving.com. We are based at 235 NE Loop 820 in Hurst, TX, handling a wide service area for your convenience.